Speaker Creatures are wireless Bluetooth™ speakers made specially for the shower. The water resistant design makes it easy to sing along to your favorite tunes, and even answer phone calls in the shower or bath. Thanks to the Bluetooth connection, and a 30ft wireless range your phone stays safe and dry. Oma is not very technically disposed. 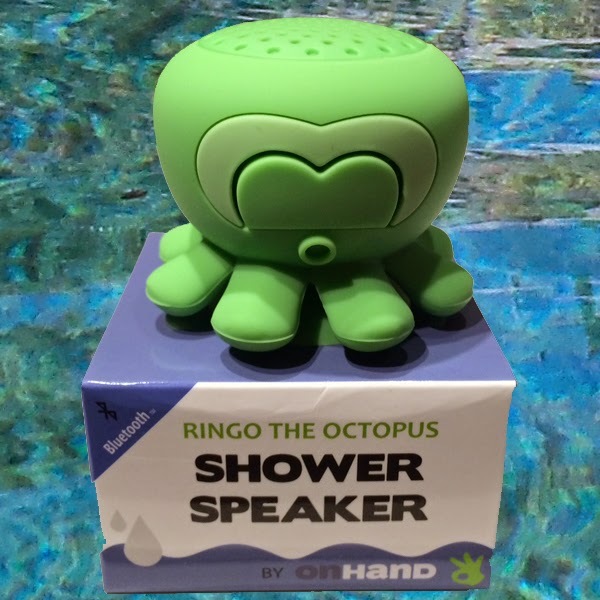 However, Ringo the Octopus Shower Speaker was so easy to “sync” I was able to accomplish it within five minutes and that includes removing the unit from its package. I love to take long soaks in the tub and Ringo the Octopus makes a great companion. Oma thought that Ringo was very cute and stylish in her bathroom. The suction base works well on any smooth surface. Bonus: You can also answer a phone call through it - Cute and very easy to use – a winner. Click here to purchase a Speaker Creature.